I recently created some custom design work for a mom named Lexie in Connecticut. I was touched when I found out the reason for her reaching out to me. She was leading a campaign to inspire kindness among children at her kids' elementary school. 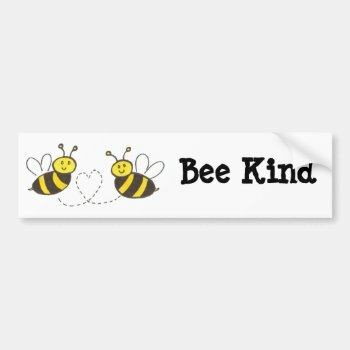 She had ordered stickers with my "Honey Bees with Heart" design to give to kids during the week the school focused on "Random Acts of Kindness." 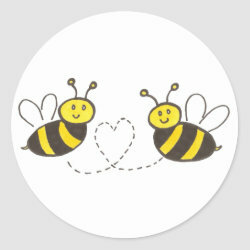 This Honey Bees with Heart design has been popular for weddings, anniversary gifts and to label handmade items. Now this whimsical illustration was the logo for a campaign to promote kindness! She had also ordered buttons for the teachers to wear and customized these items with the campaign slogan "Bee Kind." I worked with Lexie directly on creating letterhead and posters for the campaign to create exactly what she had in mind and help her meet the tight deadline. I enjoyed hearing that my design was part of such an inspiring campaign towards positive change. If you have organized a kindness campaign at your school, I would love to hear about it! Any ideas/tips you can share? Have you practiced "Random Acts of Kindness" on your own? Please share your story! New Design and Great Promotion! I recently uploaded a new design! This red heart with hand on purple background is available on many products, from t-shirts to phone cases to ornaments. I personally like how this ornament turned out with the red ribbon matching the red heart. If you are still looking for any Valentine's Day gifts, this is a great time to buy! This holiday is coming up quickly!